On behalf of the Sindhi Association of Southern California (SASC) – a nonprofit cultural organization licensed with the Secretary of State of California – I write to you regarding the Indian Supreme Court’s recent notice to the Indian Government that the word “Sindh” ought to be omitted from the country’s National Anthem on the grounds that Sindh is no longer a state in India. In the hopes of making our position known to members within the community and abroad, I join the SASC in expressing our strong disagreement with the High Court’s recent notice for three main reasons. so capriciously and its logic so unequally. Second, and related, “Jana Gana Mana” was not intended to be a historical atlas of India. 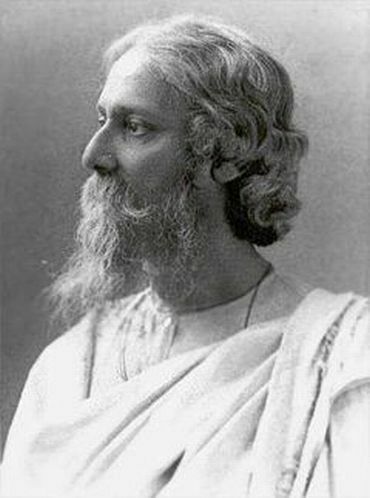 In 1911, the famous Nobel Laureate, Rabindranath Tagore, wrote the words to “Jana Gana Mana” and probably never envisioned that his poem would one day become the country’s National Anthem. If he did, Tagore may have written the poem differently. For example, perhaps he would have included states like Rajasthan, Kashmir, Mysore, and Travancore (which were princely states in 1911 and were omitted from the Anthem). Perhaps he would have mentioned the Indian Ocean and the Arabian Sea (which were under Portuguese control in 1911 and also omitted from the Anthem). Or perhaps he would have never mentioned any states at all, because he would have realized in 1911 that he could not predict all the states that would one day become a part of a free, independent India (like Madhya Pradesh, Chhattisgarh, and Jharkhand). Written almost one hundred years ago, at a time when India was under British rule, “Jana Gana Mana” cannot be expected to accurately describe today’s India because much of India has changed since 1911. For instance, India has gained its freedom, new states have been added, other states renamed, some states divided, boundaries redrawn, and new countries formed. Yet “Jana Gana Mana” does not reflect any of these post-1911 changes, and the Court should realize this. Instead, the Court has embarked on an unjustified crusade to edit and rewrite a century-old poem in the hopes of making it consistent with modern India. In order to update the geographic accuracy of “Jana Gana Mana,” the Court would need to make various additional changes (not just the omission of “Sindh”) and, by the end of these changes, the result would be a completely different poem – not Tagore’s. Therefore, the Supreme Court should have only two options. 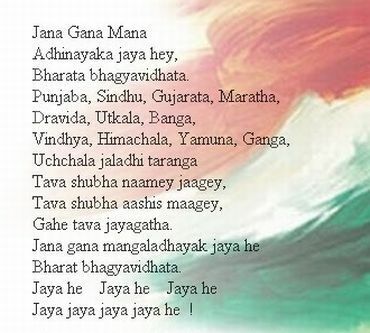 Either it can accept “Jana Gana Mana” for what it is, a 1911 poem that was never written to reflect the accuracy of India’s geography, and keep it in its original form and verse. Or, if the Court is so concerned with selecting an Anthem that is in line with the geography of today’s India, it is far more justifiable to choose, or write, a new National Anthem that accomplishes this goal (much like Russia did after the fall of the U.S.S.R.). However, the Court never should have had the authority or audacity to conduct a surgical facelift to an otherwise beautiful literary work. When we combine these two points, the result is the Supreme Court’s sheer failure. Not only did the Court fail by editing a work that had no need for editing in the first place, but the Court’s omission of “Sindh” as an outdated reference fails to explain why the rest of the Anthem still remains outdated. Removing “Sindh” from the Anthem was not only an unwarranted, indefensible change but it was also an unhelpful, incomplete change. Third, we must realize that ours is a rich National Anthem that we should embrace rather than repair. Our National Anthem is no different than those of the rest of the world. For instance, Germany’s National Anthem was written in the 19th century at a time when Germany comprised dozens of independent princely states. Its first strophe says, “From the Maas to the Memel, from the Etsch to the Belt.” It’s important to note that the Maas is a river in Belgium/Netherlands, the Memel is a river in Russia/Lithuania, the Etsch is a river in Italy, and the Belt is a sea arm in Denmark. While none of these is any longer a part of Germany, the first strophe still is part of the German National Anthem. Germany has seen World Wars and boundary changes since the time of its Anthem, it has seen dictators and democracies, it has seen division and union, yet its National Anthem has always remained the same. The reality is that no National Anthem can accurately keep up with all the realities of its nation, and it shouldn’t have to, because a National Anthem is not a geographic or political directory. Rather, a National Anthem is a song, a poem, an artistic rendition of an idea, a culture, a civilization, a tradition, a country, and a people. This is the goal of any National Anthem: to create deep sentiment in the hearts, faith, and soul of its citizens. While a country changes day to day, a good National Anthem need not. A good National Anthem doesn’t have to be changed just because a new state is born or a border is redrawn. Rather, a good National Anthem, like a good national symbol, stands the test of time, unswerving in the face of change and unremitting in course or direction. True symbols do not change, they last forever. “Jana Gana Mana” has been with the people of India even before we were free. Then why change any part of it? Why not let it last forever in the hearts, minds, and souls of the Indian people? In a united voice, the SASC denounces the Supreme Court’s recent notice. We urge the people and government of India to publicly oppose the Court’s unjustified action. For the record, we do not subscribe to any sort of victimology theory. That is, we do not believe “Sindh” should be left within the Anthem simply because we are Sindhi, or because of the great contributions of the Sindhi people, or because the Sindhi people were not given a proper homeland in 1947. This line of reasoning is divisive and unhelpful, because many other groups of Indians are not mentioned in the Anthem yet have contributed greatly to India and her rich history. Rather, we believe that “Sindh” should remain within the Anthem because of the three reasons cited above: (1) that removing “Sindh” from the National Anthem won’t correct the other outdated geographical references still left within the Anthem; (2) “Jana Gana Mana” was written in 1911 and was never intended to accurately describe or predict India’s geographic landscape; and (3) “Jana Gana Mana” is no different from other National Anthems of the world that remain unchanged and unaffected by the geography of time. We hope you will take notice of this appeal and forward it to other members of the community in the hopes that people both here and abroad realize the futility of the High Court’s notice to the Indian Government. (Even the official website of the Indian government (http://india.gov.in/knowindia/national_anthem.php) does not have the official version of the national anthem, as it bears the word Sindh and not Sindhu). The Unholy Cow Copyright © 2019.